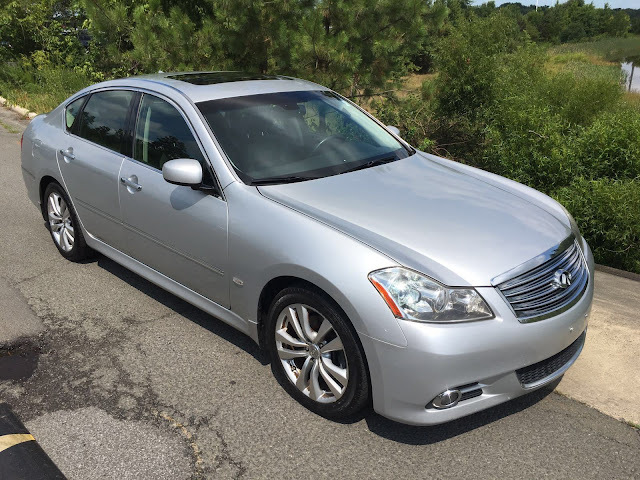 If you are big fan of the warbly exhaust note from Nissan's legendary VQ35 V6, you be tempted to get a late model Nissan 350Z or an Infiniti G35 coupe...but what if you want something with a decent sized backseat and a plush ride? Don't worry, Nissan didn't forget about the needs of old people. 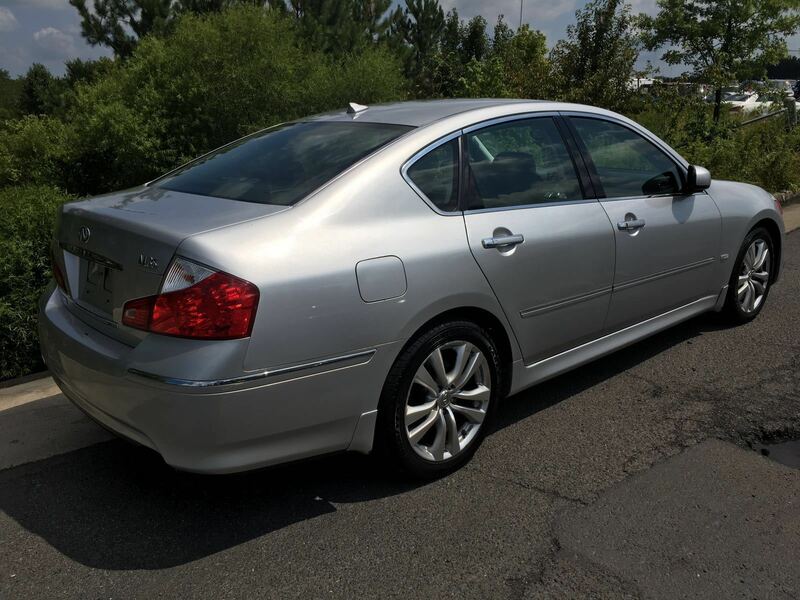 Find this 2010 Infiniti M35 here on eBay bidding for $2,950 with a few hours to go, located in Vienna, VA. The M35 is powered by a VQ35HR V6 that puts 306 horsepower out of its 3.5 liter V6, which does an admirable job of hustling the 3845 lb rear-drive sedan with a 7-speed automatic gearbox. The M35 isn't as sharp as a BMW 5-series, but it is much more entertaining to drive than a similar Lexus or Acura. The ebay thing appears to be gone. These were...okay. Nothing I'd part with a (then) ten-year-old E39 BMW for. Not even close.